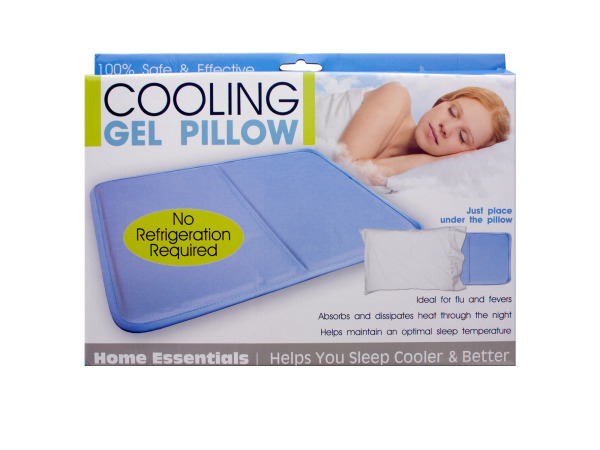 Ideal for flu and fevers, this Cooling Gel Pillow absorbs and dissipates heat through the night while helping maintain an optimal sleep temperature. 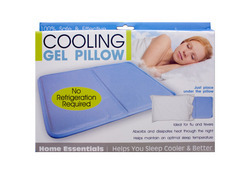 No refrigeration required, just place under the pillow and it will help you sleep cooler and better. Measures approximately 16" x 12". Comes packaged in a hanging box. Box measures approximately 12.25" x 1" x 9.25".